Richard T. Griffiths shared a lifetime of journalism experience and perspective with students in the Marlin Fitzwater Center for Communication during his week of residency on the Rindge campus as a Visiting Fitzwater Fellow. A much-anticipated spring tradition, Academic Showcase highlights the scholarly and creative work produced by Rindge students and faculty throughout the year. The annual Marlin Fitzwater Center Honors Medallion Lecture will take place at Franklin Pierce University’s Rindge campus on Thursday, April 18 at 3:30 p.m. in Spagnuolo Hall. Dr. Temple Grandin’70 stopped by her alma mater on Thursday, April 4 to speak to students in classes, visit the dining hall and tour the campus to see the changes that have taken place since she was a student. Franklin Pierce University is pleased to announce it will be awarding three honorary degrees as part of the university’s 2019 commencement exercises, Saturday, May 18. Attend our annual Career Fair on the Rindge, NH campus! The fair will be held on April 11, 2019, from 12-4 p.m. in the Fieldhouse. 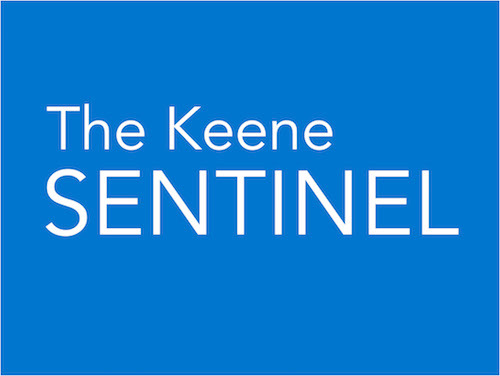 "The head of a local university now also leads the board at a business-centric nonprofit organization in Keene." Spring Break 2019 – Consider the Alternative! Instead of taking a cruise, lying on the beach or playing video games, a team of 20 FPU community members traveled to Dade City, Florida to participate in this year’s Alternative Spring Break (ASB). "The Hannah Grimes Center for Entrepreneurship has announced that Dr. Kim Mooney, President of Franklin Pierce University, will serve as President of the Board of Directors." President Kim Mooney joined a panel of Granite State college and university presidents and chancellors at a statewide summit on higher education in Concord, presented by the New Hampshire College & University Council (NHCUC). Talesha Saint-Marc ’06 was recently named one of the New Hampshire Union Leader’s “40 Under Forty,” honoring the contributions she and 39 others have made to make New Hampshire a better place to live and work.